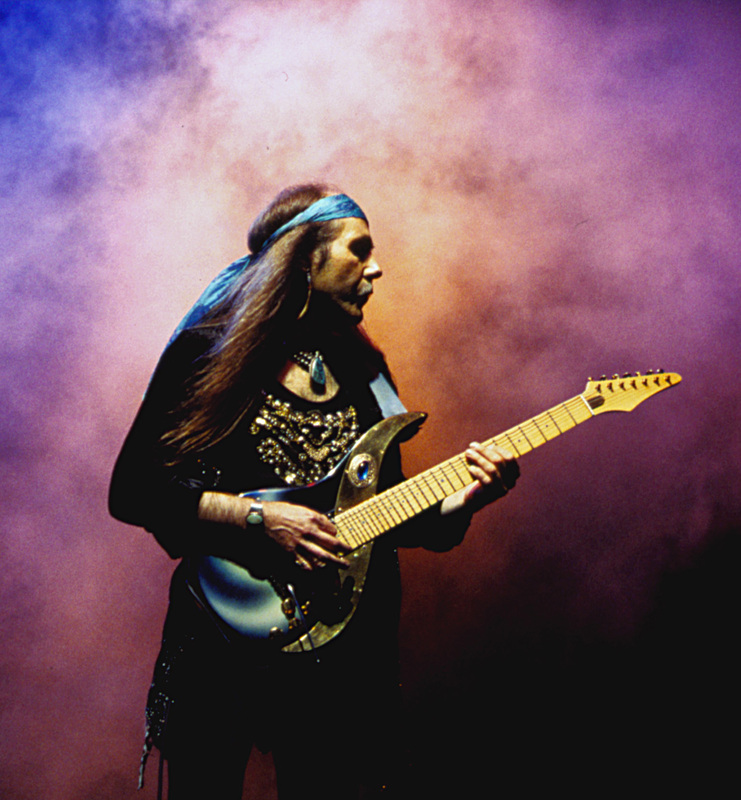 The Rembrandt Sky is the second ever Sky Guitar with 7 strings. 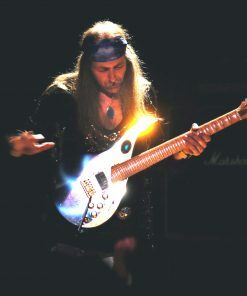 Built as a successor to Mighty Wing, it was the 5th Sky Guitar and the last of the original Demetriou built prototypes. 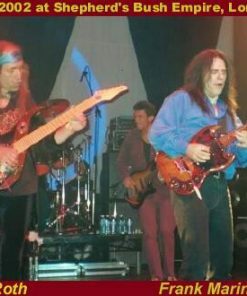 It was also the first ever Sky Guitar made from mahogany. That was an important distinction. 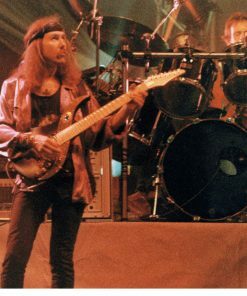 While Mighty Wing was all about taking virtuoso guitar playing to new heights, Rembrandt was built for a different purpose. 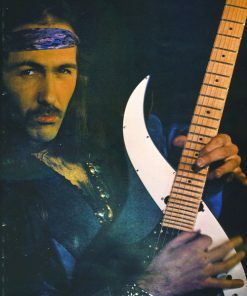 This also is reflected in the string spacing, which is wider than the original Mighty Wing, but still slightly narrower than on a standard 7-string. 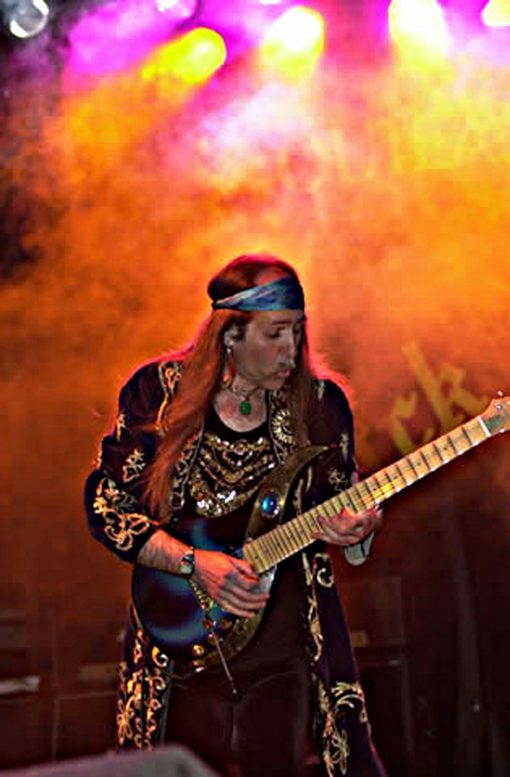 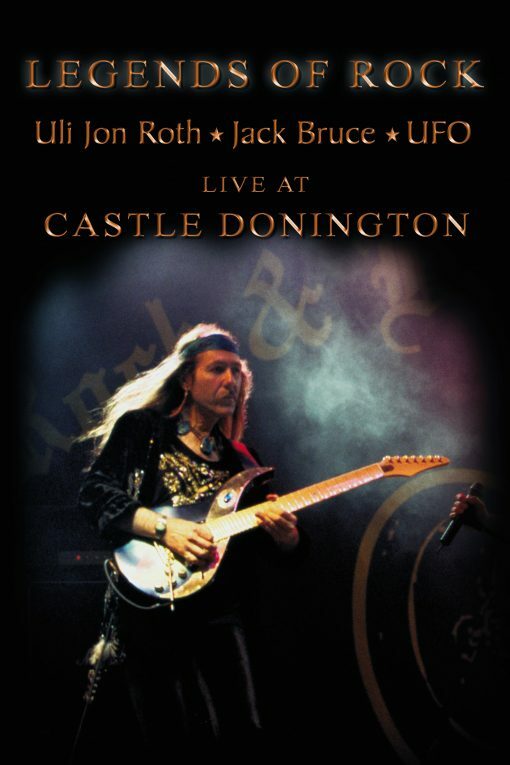 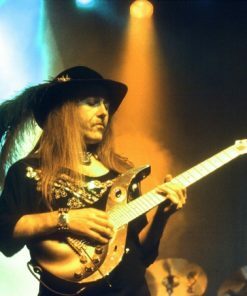 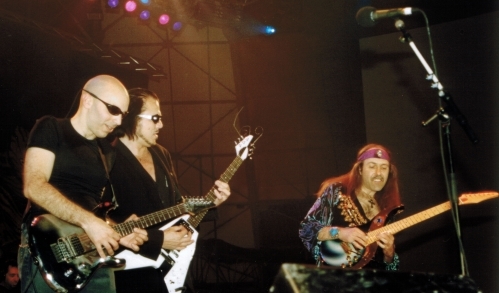 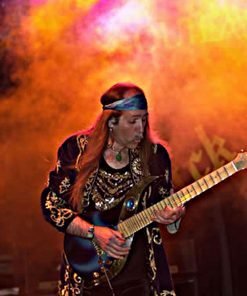 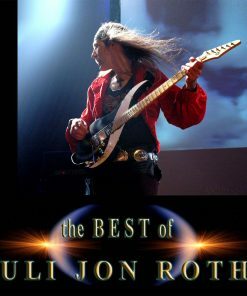 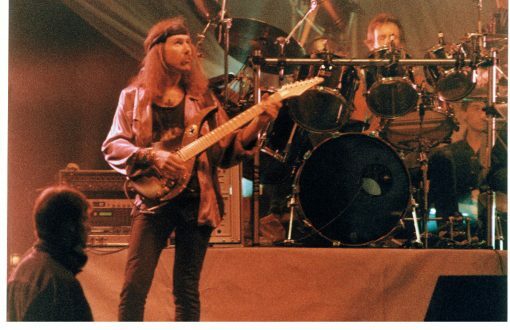 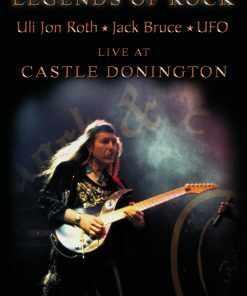 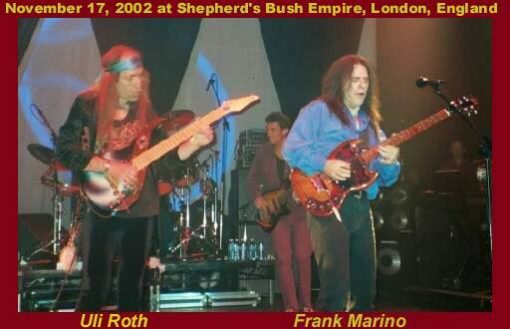 The Rembrandt Sky is also featured strongly in the Legends of Rock DVD from 2001, where he used it during his performances with UFO as well as Jack Bruce. 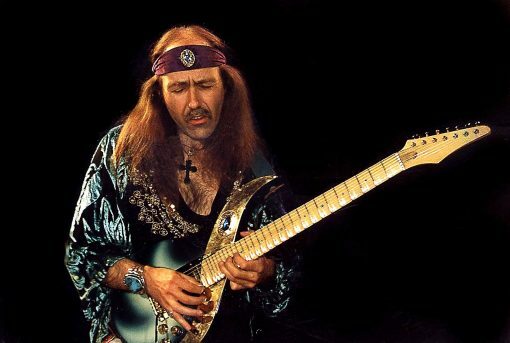 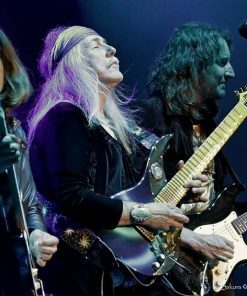 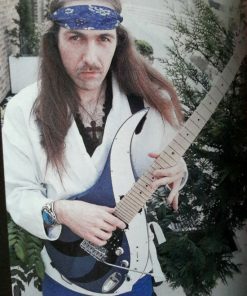 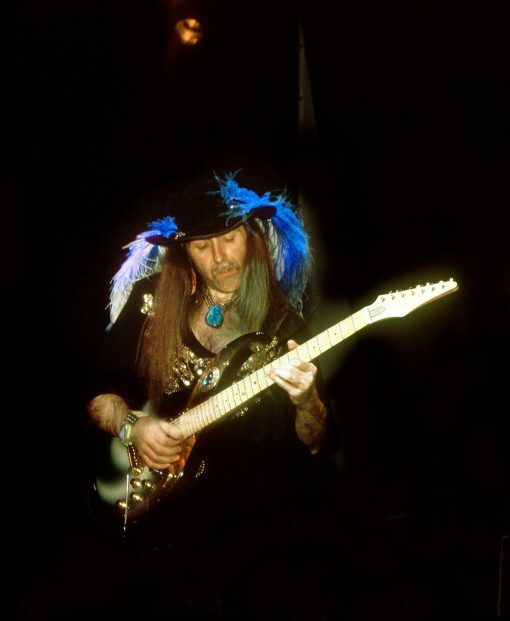 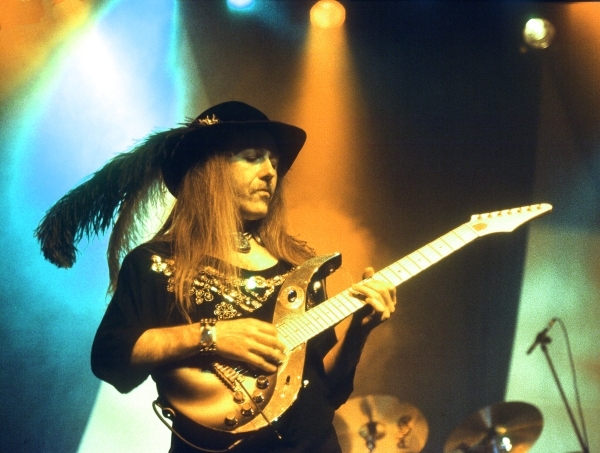 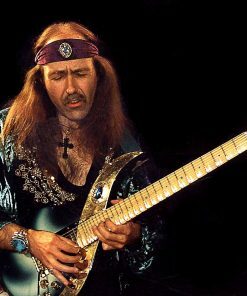 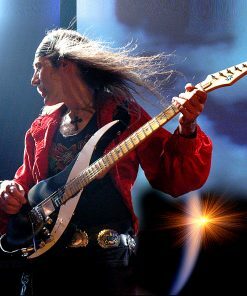 The Rembrandt Sky was also one of the two main protagonists on Uli’s album “Transcendental Sky Guitar”, which came in two sides: “The Phoenix and the Dragon”. 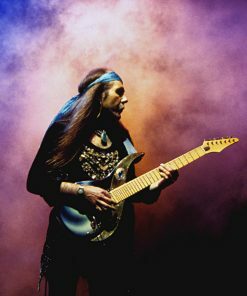 The Rembrandt Sky was assigned the role of “the Dragon”.